As the drum roll fades following the swearing in of Australia’s first ever female Defence Minister , I’m left wondering what we should now expect. While Senator Payne is the first ‘femmindef’ for Australia, she joins a long list  of international female Defence ministers who have gone before her. How will the Australian Department of Defence be shaped or be different with a female at the helm of such a male-dominated portfolio? Will Senator Marise Payne crack the tempered glass ceiling from above and start lowering down the career ladder for women in Defence? Can this be done in a way that might change the organisation and the defence of the nation in a positive way? Payne has asked that she be judged by her work , rather than her gender, and I, like other feminists, would hope that’s the case. However, it’s her experience as a woman in Government, as a woman who knows the Defence landscape, and as a woman who proudly calls herself a feminist , that brings an unprecedented vantage point unseen in the Department until now. It is this vantage point that will be a significant point of difference from her predecessors. It’s difficult to be hypothetical about the difference a female minister, this female minister, may have on Defence over the coming year (or beyond), particularly in an organisation and portfolio prone to so much change—or at least talk of it. Perhaps we can look to the last 12 months in Defence and ask ourselves if, or how, decisions and outcomes may have been different had she been in place. Would the male-dominated First Principles Review (FPR) team been left as just that, despite its sexist irony ? Would Defence have sent male ‘champions of change’ to women in leadership forums , or would they have instead sent a woman in leadership to share insights into the lived experience? Would the news story around the biggest changes to Defence legislation in decades have been solely focused on superannuation, or rather the fact it creates the biggest structural change to enable part-time work  in Defence’s history? It will have probably the most significant impact to women’s ability to remain and thrive in the Defence workforce ever, yet sadly the accomplishment wasn’t given the status it deserved. Opportunity lost, Defence PR. Defence has created significant opportunities for change, the motivation to change, and the capability for change. However this needs to be supported by evidenced-based and targeted interventions, and evaluations of their effectiveness, lest it ends up on a pathway to the status quo. The structural and organisational changes currently being implemented through FPR are predominantly being viewed by the working level as shrouded in mystery, uncertainty and secrecy. Cracks are appearing that threaten to destabilise the culture even more. As any organisational culture analyst will tell you, this ambiguity, added to uncertainty surrounding personnel cuts, creates ripe ground for the type of ‘unacceptable behaviour’ that Defence has worked so hard to stamp out. There are inherent risks in the anticipated wide-sweeping changes not being as swift and as wide-ranging as FPR initially promised to be. Cue another ‘review’ to add to the plethora that came before to reexamine what went wrong. What Defence likes to call ‘unacceptable behaviour’ equates to ‘violence’ and ‘anti-social behaviour’ in the lingua franca. Using the more neutral term has served to shield Defence from comparisons with the wider community and this does everyone a disservice. 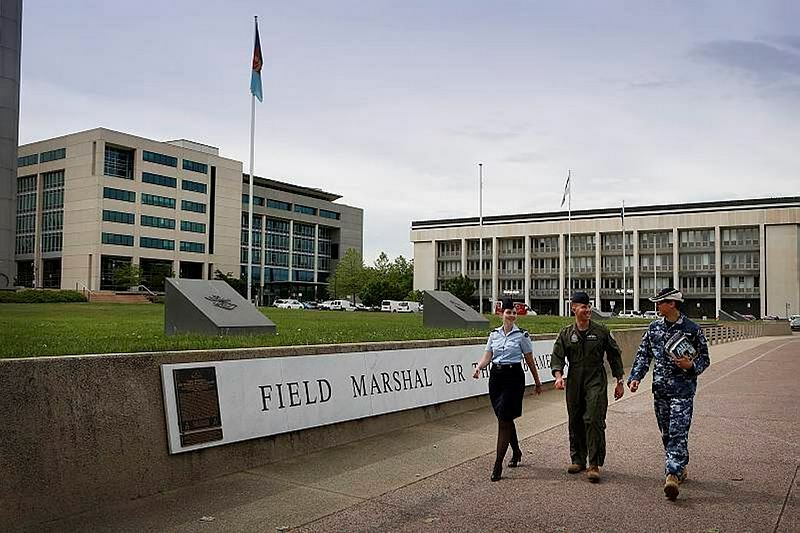 A great starting place for improvement would be for Defence to begin collecting data using descriptive terminology that aligns with how places such as the ABS  or AIHW  collect theirs—common language to begin with, and benchmarking is possible. Defence remains committed to increasing its diversity and inclusion levels, with a bigger focus on diversity, but less on understanding what authentic inclusion practices actually look like. Will a ‘femmindef’ be content with the current pace of moving from integration to inclusion, or will she push toward a frontier of empowerment for minority groups? Submarines, white papers and war are all up there when it comes to consuming the Minister’s time, and rightly so. But will a femmindef be able to multitask both culture and capability in a way that none of her male predecessors have yet been able to? I hope so. Samantha Crompvoets is a visiting fellow in the ANU Medical School and director of Rapid Context, a Canberra-based research consulting firm. Image courtesy of Department of Defence.